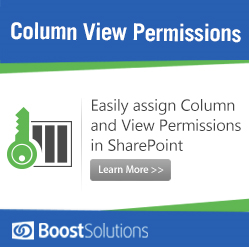 SharePoint is a popular information sharing platform which allows users to connect and cooperate, both locally and internationally; but managing permissions in SharePoint can be a complex and tedious task for administrators. SharePoint does allow administrators to grant permissions from a site or list, down to item level, but permission assignments are explicit and varied for different users and groups. This method is difficult for administrators because of the complex hierarchy and administrators need to spend a lot of time to understand and manage permissions. Additionally, permissions associated with each site or list must be accessed individually so that administrator can manage permissions. If there are many sites, lists or folders with broken permissions, then managing permissions will create a lot of work. 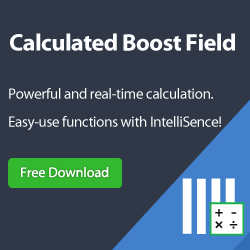 With Permission Manager 1.0, you can quickly and effectively management permissions on one platform, including searching, analyzing, managing and backing up permissions. Let us take a closer look at one feature of Permission Manager that makes granting permissions easier. First, enter Permission Manager and navigate to the Permission Management pane. Then select and click on one site in the farm tree. After that, select the lists or libraries under this site. Here I will grant user permissions on four lists with unique permissions. In the Scopes section the selected objects are displayed and administrator can understand which sites or lists permissions will be modified. In the Select Users/Groups section, enter the users and groups name. 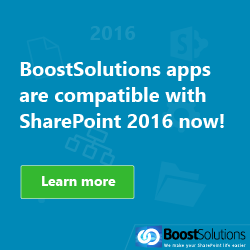 In this section, the domain user/group and SharePoint group are all supported. Select the permissions you want to assign to the users. 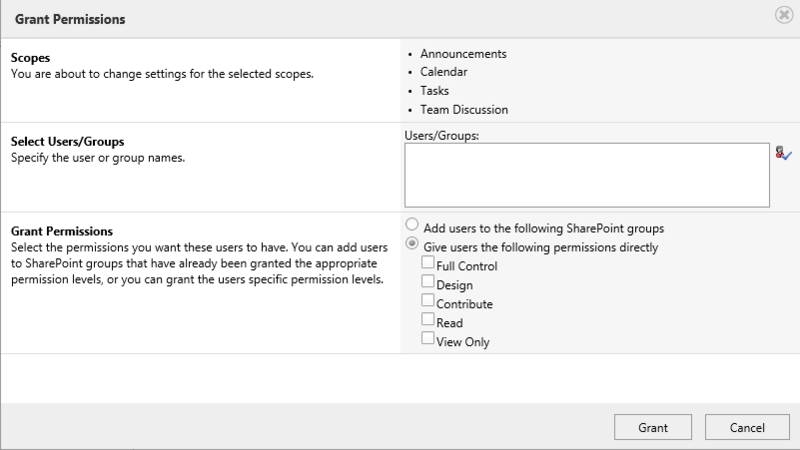 There are two ways to grant users or group permissions, assign permission levels directly or add to SharePoint groups. 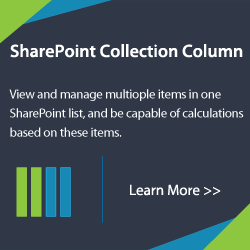 Add users to the following SharePoint groups: This function allows administrators to add specified users to SharePoint groups; you can also add users to several groups at the same time. Give users the following permissions directly: This function allows administrators to assign permission levels to users or groups directly. Click the Grant button; a “loading” icon will appear to indicate the operation is in progress. When the operation is complete, a message will indicate that permissions are assigned completely and successfully. With Permission Manager 1.0, administrators can quickly and easily grant permissions to users and groups without accessing each object saving your time. 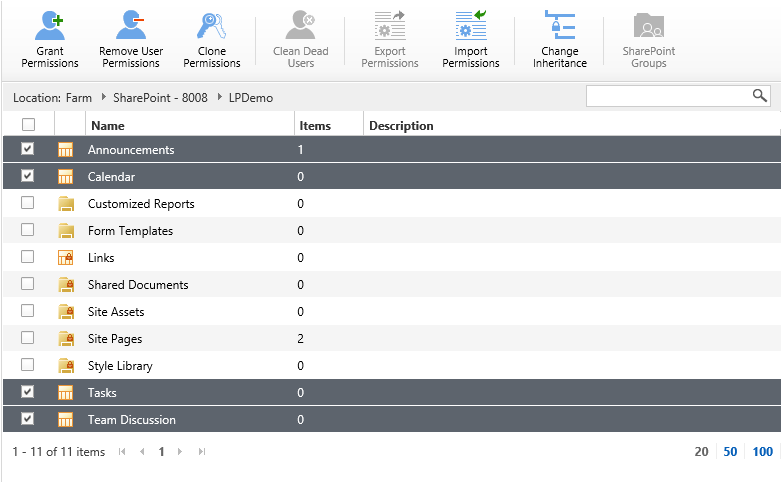 In addition, Permission Manager 1.0 provides other features to grant permissions such as clone permissions between users and import permissions to a site or list.